With Tom Cruise in the driver’s seat of this Sci-fi thriller, all that he has to do is do what he does best, act. Forget about his crazy private life. He may have had a lot of drama with his marriages (jumping on Oprah’s couch and whatnot, etc., etc.) and his religious beliefs (Scientology) may seem a bit weird, but lets face the facts. The guy can act and he can act well. He is one of the most solid actors of our time and he still draws a crowd. Tom gets comfortable in his character, hits “Cruise Control” and all of the viewers in the audience are in for a treat. He proves it time and time again that he is highly capable of carrying the majority of a movie on his back. Oblivion is no exception. 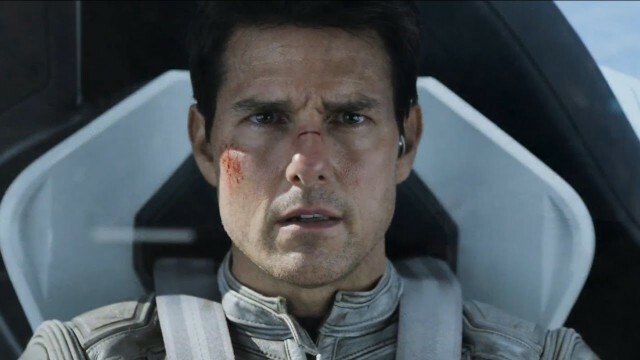 In fact, the majority of Oblivion is Tom Cruise in one way or another. After the world has been virtually destroyed by nuclear war and natural disasters, a couple (Tom Cruise and Andrea Riseborough) become part of “the cleanup crew” to help salvage the remaining natural resources that the world has to offer. They are also there to protect their mission and make sure that it runs smoothly. After a while things may not be what they seem. I am not a huge fan of a lot of Sci-fi movies. Many Sci-fi movies these days are filled with so much special effects that they make the movie seem totally fake. I do not watch movies simply for the special effects. I enjoy Sci-fi movies where the special effects are tastefully done to the point where it doesn’t take away from the movie. The film also has to have an interesting plot, solid characters that can act, and a well written script and story to tie it all together nicely. 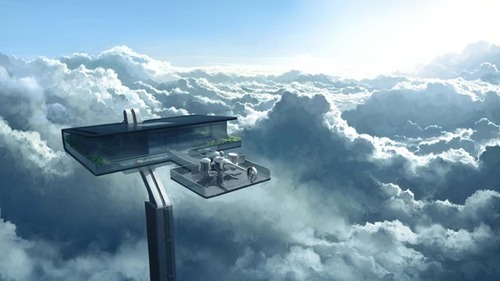 Oblivion fulfilled all of my requirements of a great Sci-fi movie quite nicely. 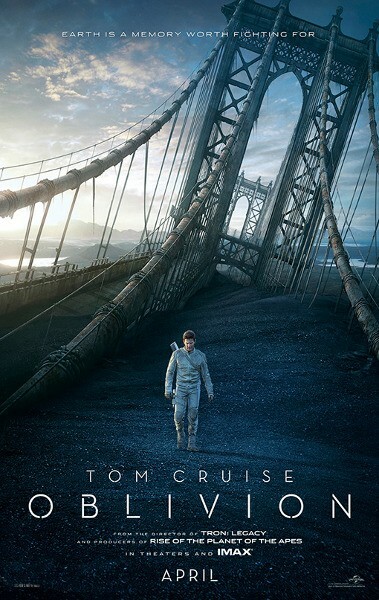 Joseph Kosinski does a superb job of writing and directing Oblivion. The special effects are not overdone. They are beautiful and awesome and some of the greatest that I have seen, but they are not too much. The film does not have too many characters in it and that is okay. Tom Cruise is great as always, and everybody else is as good as they can be. 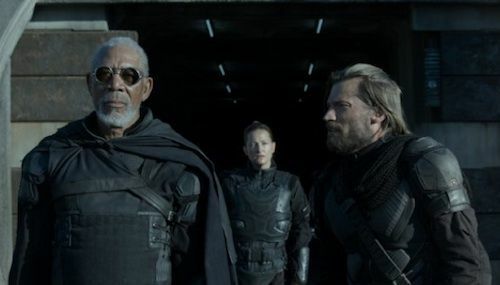 Andrea Riseborough, Olga Kurylenko, Morgan Freeman, Melissa Leo, and Nikolaj Coster-Waldau all performed to the best of their abilities with what they had to work with. The plot had many twists and turns which made it very entertaining. The story itself was very original. However, a little bit of the movie was hard to follow and I left the theatre scratching my head. I love movies that really make you think as you put each piece of the story together. I figured out the gist of it, but I felt like it could have been explained a little better. That was one of the only problems that I had with the movie. 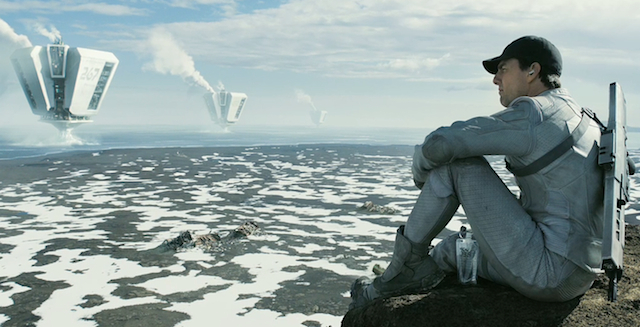 Given that I am not much of a Sci-fi fan, I was very pleasantly surprised by how good Oblivion was. It is definitely worth seeing in the theatre and because of the excellent special effects, it will certainly be better on the big screen.